Close to 100 million people in the United States of all ages have chronic pain. The most common treatment for chronic pain is pharmaceutical drugs, whether prescribed or over-the-counter. People are becoming more and more aware of the risks and dangers of these drugs or medications and their relative ineffectiveness. Other conventional medical approaches include procedures, injections, physical therapy and surgery. All of these also have their drawbacks. Beyond these, other common approaches are acupuncture, chiropractic, supplements, yoga, meditation, etc. Most of these are also often temporary in their benefit and require multiple visits. What is needed is a very different approach to managing chronic pain. By definition chronic pain is something that is likely to last years if not a lifetime. That means the approaches to deal with chronic pain need to be consistent over long periods of time. 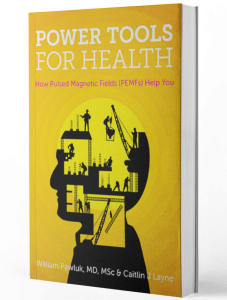 Why are pulsed electromagnetic therapies an effective option? This is where magnetic field therapy [PEMFs for short] becomes a much more effective option. The R3 method is describes the three basic ways that PEMF therapy can produce short-term, medium-term and long-term changes in the body to heal chronic pain safely, noninvasively and without toxicity or procedures. The R3 method stands for: relieve, recover and restore. Relieving or reducing the pain itself happens very rapidly with PEMFs. Recover describes the need to heal the cause of the pain, that is to recover the damaged tissue producing the pain to the point where the pain is no longer present. In the long run recovery does not necessarily restore the tissue causing the pain to become normal again. So, the longer-term goal is to restore the tissue to be as normal as possible. Almost no other therapeutic approach, especially not medications or drugs, accomplish all the R3 steps. This is because PEMFs not only reduce the pain signals themselves, similar to what medications do, but also because of their basic actions deep in the tissues of the body, help to reduce the conditions in the tissues causing the pain, such as problems with circulation, inflammation, edema, muscle spasm, and the need for tissue repair. PEMFs can do this because they pass all the way through the body without being blocked or used up. By themselves the PEMFs I recommend have been proven safe as well as effective. They create energy in the tissues that help the body’s tissues to heal themselves. Thus, ultimately PEMFs are a completely natural, comprehensive approach to managing pain.